The Avett Brothers have come into their own during the mainstream folk surge of the past few years, but they have not just been riding the wave without work. Hot on the heels of last year’s successful The Carpenter, they have followed up with Magpie and the Dandelion, which was recorded at the same time. 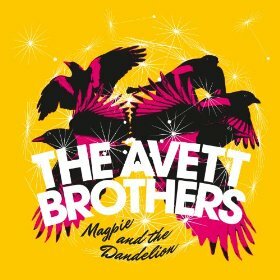 In some magical way, The Avett Brothers have managed to combine the instruments and emotion of country music with the uplifting energy of punk. The fusion shouldn’t work, yet they pull it off so flawlessly that you can’t even compare them to other successful folk acts of the day. As much as the album is wickedly listenable, there are also moments of pure insight. “Another Is Waiting” criticizes the media’s portrayal of women and the relentless need to doctor photographs for perfection. “The Clearness is Gone” contains many romantic sentiments, such as “I will seek the approval of no one but you.” You can feel your heart and spirit moved by much of Magpie and the Dandelion, proving that The Avett Brothers are only getting better with age.